Aklapper raised the priority of this task from to Needs Triage. 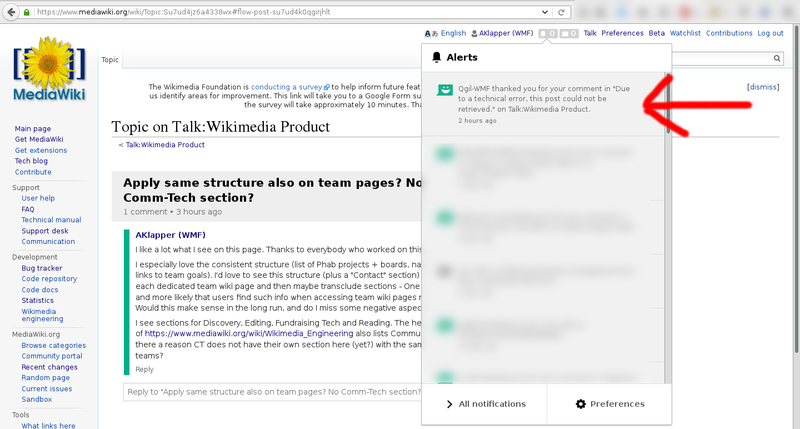 Aklapper added projects: Notifications, Thanks, StructuredDiscussions. Aklapper added a subscriber: Aklapper. Same on officewiki for me. The fix for this is deployed now. 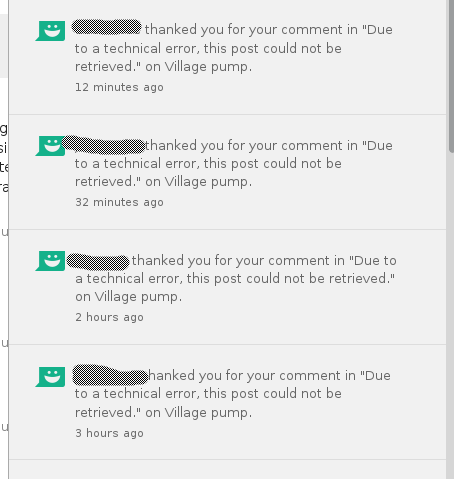 Unfortunately, the "Due to a technical error..." text is baked into the notifications, so pre-existing broken notifications won't be fixed. 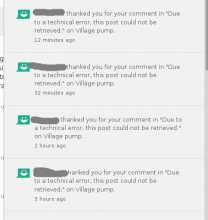 But newly generated Thanks notifications will be fixed.